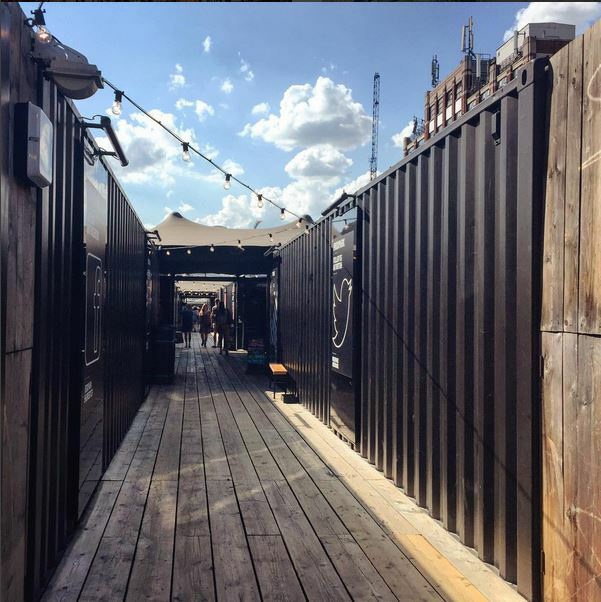 BoxPark is the playground of Shoreditch. Lots of places to eat and drink and generally have a good time in. It’s an all round fun place to be. With lots of happy people and music in the background. We decided to take a walk there on a hot summers day with the intention of filling our tummies with goodness. We stumbled across Korrito. It took me a day to figure out what Korrito actually means, Korean – Burrito. Who would have even thought about combining flavours from Korea and Mexico??? Well we had to give it ago. Korrito have a three step ordering process which makes food ordering so simple, just like Chipotle. We both decided to go the the rice box with kimchi fried rice. I had the chicken and Elena went for the beef. 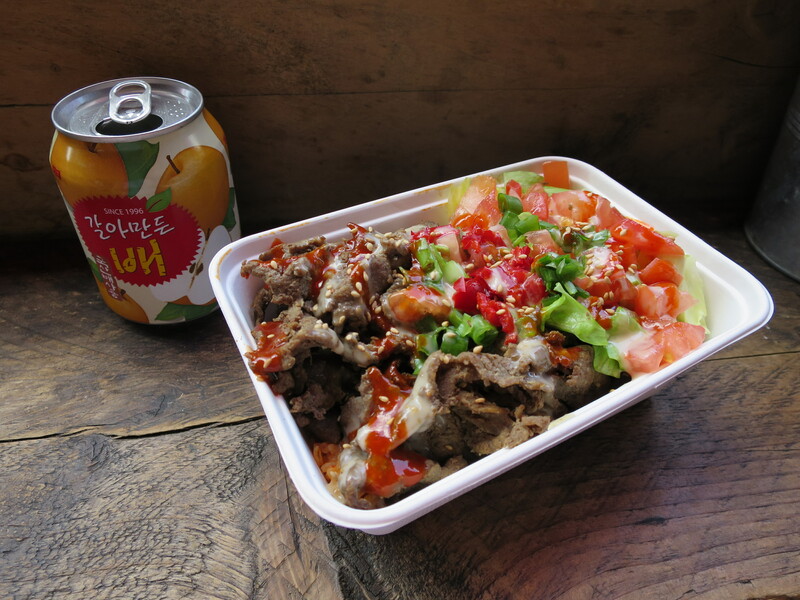 The base of the rice box is filled with rice, then comes the layer of your chosen meat and finally the salad which you can pick and choose bits from. The flavours and textures were AMAZING. The chicken was tender and spicy and the beef melted in the mouth. I just loved that combination of textures, soft rice, tender meat and then crunchy salad. There were pops of spicy and fresh flavours through out. The kimchi friend rice was saucy and spicy and just packed full of flavour, I could have easily eaten a bowl full that beautiful rice. For sides we decided to try the vegetable dumplings that were deep fried. Again, we loved these tiny bad boys. 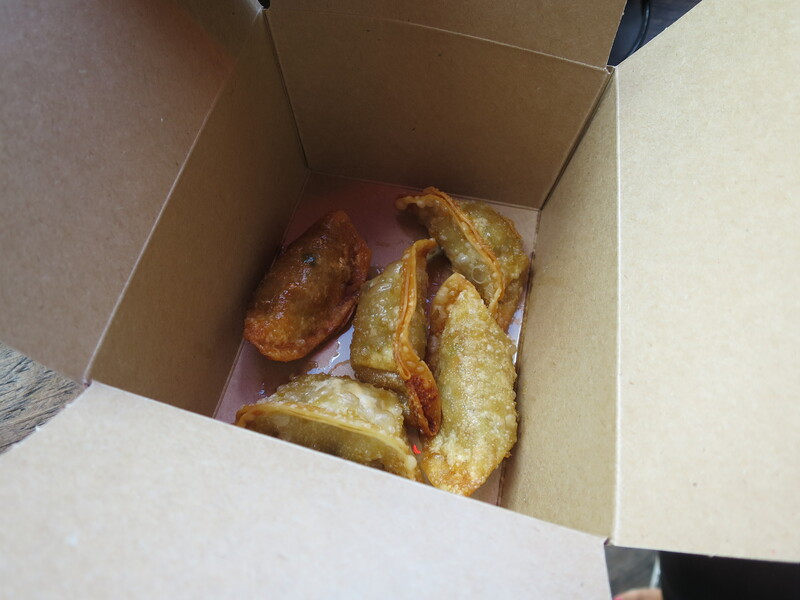 They had a real crunch to them with a tasty mushed veggie filling. To wash this amazing food down with we decided to try the canned Korean pear juice. This stuff was lovely and we are currently searching online to get a stock for our own fridges. This juice is refreshing with tiny bits of pear floating around. What a nice find on such a sunny day. The only issue we had was uncomfortable seating but it’s just part of the process of eating at BoxPark. Can’t wait to lunch here again.